Welcome to Seaside! A sleepy, island village filled with sandy beaches, colorful characters… AND MURDER! 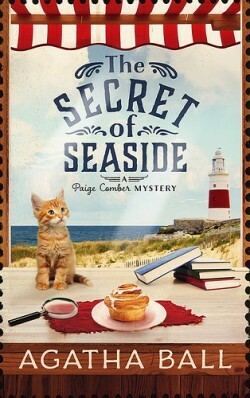 Paige Comber dreams of running off to Paris to train at the Cordon Bleu, but fresh out of college, she is stuck running her granny’s coffee shop in the small town of Seaside. It looks like a lousy summer until a handsome stranger named Nate arrives. He’s here to help his Uncle Byron with his affairs, but when his uncle’s body washes up on the beach and Nate is thrown into prison, it is up to Paige to find out who might have been crazy enough to do it.